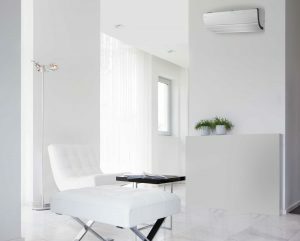 We specialise in sales, design, and installation of Split System Air Conditioners. We pride ourselves in providing the best quality products for our customers, that is why we choose to work with Daikin Air Conditioners. We have broad contracting experience in both residential and light commercial sectors. We always take an individual approach to every customer to ensure that we can design a system that suits your individual needs at the best price possible. We take pride in our work and are dedicated to each job from start to finish with a qualified electrician/plumber present at every installation. For all your electrical and air conditioning needs call Bayair today for a free quote or visit our showroom. We have a strong team of experienced tradesmen, who ensure installations are coordinated and installed in a fast, most efficient and professional manner. We offer a 6 year guarantee on our quality workmanship with every installation. Best price guaranteed on Supply and Installation Packages. We service all of Melbourne Bayside including Elwood, Ripponlea, Elsternwick, Gardenvale, Brighton East, Brighton, Sandringham, Highett, Black Rock, Cheltenham, Beaumaris, Mentone, Parkdale, Mordialloc, Aspendale, Waterways, Edithvale, Chelsea, Bonbeach, Ormond, Caulfield, Bentleigh.